Rockliffe batted first, they hit only the one four, but with our team containing some less experienced match bowlers, wides were to be expected and were the major contributor to the Rockliffe total of 235 net. Having said that, Bobby, Benedict and Ralph all had very tidy bowling figures. 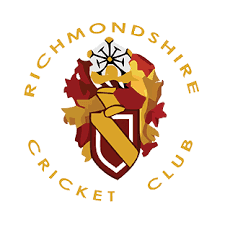 Harry and Alex opened the batting for Richmondshire and got us off to a great start, with Harry scoring an undefeated 18. Next in were Ralph and Freddie who added to the score. Connie and Mary followed with a demonstration of excellent running between the wickets. Final pair Bobby and Benedict did manage to get the scores level, before one silly run out and then another left them with too much to do off the last 5 balls and gave Rockliffe a victory margin of 5 runs. An excellent close game, which gave everyone involved valuable match practice. Mary and Connie will be booked to run a training session on running between the wickets .